I had read Monica Ali’s Brick Lane, some years ago and had loved it. When I chanced upon this book, I grabbed it. In the Kitchen starts off in a smart London restaurant, which is run by Gabriel(Gabe) Lightfoot, managing his kitchen workers from all over the world. Gabriel is hoping to open his own restaurant and has a steady girlfriend, Charlie, settled life, more-or-less. His life is turned upside down with the discovery of a death of a porter in the basement of the restaurant and with the appearance of Lena, a mysterious immigrant from Europe. Gabe also learns that his father is suffering from cancer and his grandmother, from dementia. The book is mainly about Gabriel and his reaction to the deal that life dealt him. The book touches upon multiculturalism in Britain, the various underlying emotions, related to immigration that seem to plague most of the characters using the restaurant kitchen as an interesting setting. After Brick lane, I think my expectations were rather high, and sadly the book, kind of, fell flat -for me. The characters did not appeal, their motives felt rather flimsy, and make believe, although I did enjoy the part where Gabe went up north to his childhood home.. His Nana was one of the few vibrant characters in the book. It was a book that I struggled to read. There was something definitely missing about the book. It was a book with too many things, and they just did not work well together. All in all, a disappointing read. Especially after Brick lane. I came across Tess Gerritsen’s crime fiction about 7 years ago, and have been hooked ever since. Her books are fast paced, the story ling gripping, and totally shakes you up. 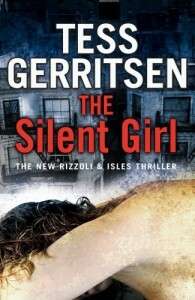 The Silent Girl is part of her Jane Rizzoli/Maura Isles series. A ghost walk tour in Boston’s Chinatown comes across a severed hand, in a place where a gruesome murder-suicide had taken place, seventeen years ago. Detective Jane Rizzoli and Medical Examiner Dr Maura Isles have to piece together the mystery. They find a woman who has been nearly decapitated, and the only clue is a couple of silvery gray hair, which seems to be non-human, and something that nobody seems to have encountered before. The story delves into Chinese Folklore, and there are times when you start to wonder if there is something supernatural happening. Mystery, mythological tales, ancient warfare everything merges together to form a story full of suspense, and excitement. A total page turner, which is difficult to put down. She keeps the suspense going, and wraps up the book really well. If you like fast paced crime thrillers, this is the book for you. I would rate it a 4/5. I have enjoyed books in the non-Indian, South Asian setting a lot. 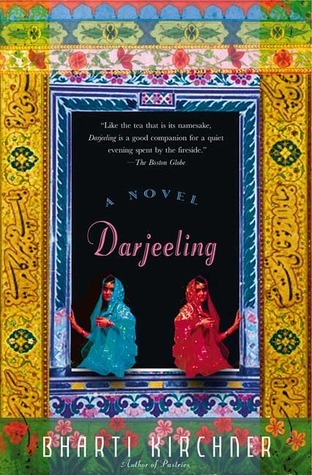 The stories, characters evoke such a lot of similarities with India, that I end up enthralled. 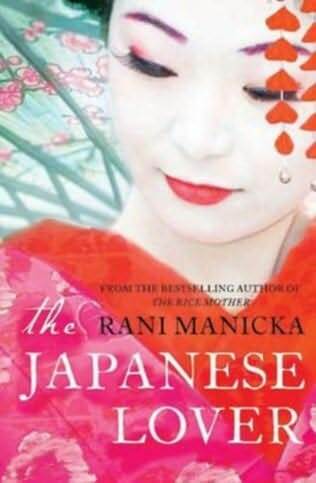 So when I saw The Japanese Lover by Rani Manicka, I grabbed it without a second thought. Parvathi, a young girl in Ceylon is married off to a rich landlord in Malaya, by her unscrupulous father, by showing the marriage broker some other girl’s picture. This also fulfilled the prophesy when she was born. Parvathi’s husband is annoyed at the cheating, and asks her to get ready to go back to her village. For some reasons, her husband(Marimuthu) lets her stay on with him. She stays there, but not as a much loved wife, but more as a person who is just about tolerated to be allowed to stay on. Some years later, her husband brings home his love-child with a dancer. When she (the dancer) dies, Marimuthu brings their daughter(Rubini) home to his wife. Later Parvathi gives birth to a son, who ends up being extremely pampered and spoiled. Both these children test Parvathi a lot, in different ways. Marimuthu passes away just before the Japanese invasion of Malaysia. After the Japanese invasion, it so happens that Parvathi becomes the lover of a Japanese General, and for the first time in her life, is happy and cherished as a woman. While the story was interesting, there was still something missing. I haven’t been able to pin point it. There was a lot of prophesies, and portents happening, but the story could not really hold it together to explain everything that was brought up in the narration.. It almost feels like a lot of ingredients were added, but somewhere along the line, the purpose of the recipe was lost? I would rate it 2/5, mainly because it started off well, and the way it ended was a little disappointing. Not a book that I would particularly recommend. Another book that I picked up, just by the blurb at the back. The tale of two sisters. Two sisters who do not get along, who have their own set of insecurities which cloud their relationship. Aloka and Sujata have grown up in Darjeeling, with their father and loving Grandmother Nina. Aloka is the older, confident, accomplished sister who is the centre of attention everywhere. She has numerous suitors buzzing around her, while Sujata, the prickly, younger sister is ignored in the general scheme of things. 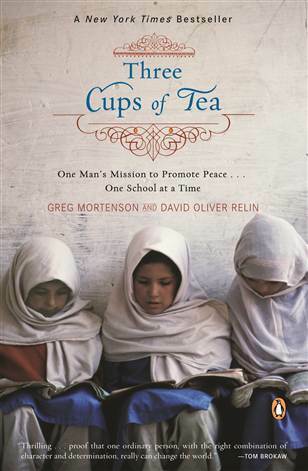 Aloka falls in love with the tea taster and revolutionary Pranab, and the two get engaged. In the meanwhile, Pranab meets Sujata and they fall in love with each other. Pranab ends up marrying Aloka(let me not divulge too many details). They emigrate to New York, and have finally get divorced. Pranab is keen to re-kindle his romance with Sujata, who has been living in Victoria, Canada. Grandmother Nina, invites all of them to come and celebrate her birthday with her in Darjeeling to try and get them to reconcile. I can’t write any more without giving away the whole story. It is an interesting story, but in a lot of places, I felt it was quite cliched. In some places, I found it difficult to understand what motivated the protagonists to behave the way they did.. I mean, some of the choices seem quite inane – at least to me. Pranab’s character especially felt quite lame. What I did like about the book was the descriptions, and the way she brings out the feel of the places. It transports you to tea plantations of Darjeeling, New York or Victoria. She did make me drool with the food that she describes. I actually feel like making Channer Payesh, just to have a taste of it. I would give it a 2.5/5. An easy read -but not exactly something I would buy – I would much rather pick it up from the library. I read Elizabeth Gilbert’s Eat Pray Love last year. Long after all the hype had died down. I kept my expectations low, because a lot of times, I have got disappointed with some of the most raved-about books. This time, however, I was certainly not disappointed. I really enjoyed her writing style. 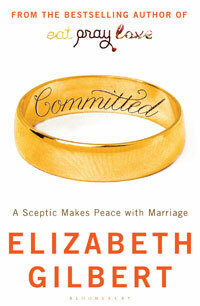 Which is why, Committed has been on my wishlist since. Now, for the last few months, I could see that my library stocked, it was available, but I would either forget to pick it up when I was there, or would never find it on the shelves(and all the library assistants were bound to be busy). Last week, I decided that I would not leave the library without the book. At the end of ‘Eat, Pray, Love’, Liz finds love with Brazilian born, Australian Citizen Felipe. Both of them have survived divorces, and never want to get married again. They just want to live together and enjoy what they have, but the US Homeland Security has other plans for them. They are told that Felipe would not be allowed to enter the US again, because he has entered and reentered it too many times to be with Liz. So the only option they have is to get married, if they want to be able to live in the United States, which is where Liz wants to live. Faced with this situation, Elizabeth does what she does best, throws herself into research about marriage, to find out everything she can. She went into her first marriage with no facts, with literally no preparation. This time, she wants to leave no stone unturned. She mainly focuses on marriages in the Western context, and there are some really interesting snippets of information of the history of the institution of marriage, and how things evolved to be the marriage of today. It is quite interesting to see how all societies have gone through similar changes in their approach to marriage. The effect of women’s liberation on the institution on marriage. Her narrative keeps you engrossed till the last page. She has interesting anecdotes from her life, her parents, and her grandmother’s life. Marriage, and how it has changed over the years. She analyses the factors that might lead to divorce, agonizing over facts that might indicate that she might not be marriage material. Her own worries over getting married is analysed, discussed. It is very different from Eat, Pray, Love but it still makes a very compelling read. There were some questionable things mentioned in the book. Apparently in India, May 3 is National Broken Hearts Day! Did you know that? Funnily, I googled, and NOTHING came up!!! And then she mentions that it is common for a woman to be married to all the brothers in the family in Southern India! I can’t help wonder where all this information came from. Despite the few glitches, the book is a great read. It keeps you engrossed in her tale. There is something about the way she writes, that makes you feel that she is in the room, chatting to you. 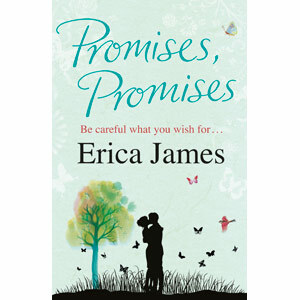 I think it is this quality of her writing, makes it such a wonderful read. It is more than just a research on marriage, it is her journey, her way of making peace with the concept of marriage. Would I recommend it? Absolutely!